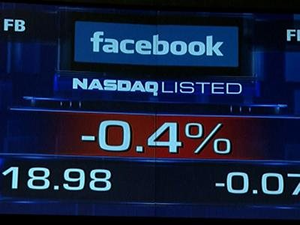 Let’s face it, the Facebook IPO was drastically overvalued. Overly optimistic traders, corporate greed, a shift in members viewing Facebook on smart phones vs. PC’s (resulting in fewer advertising opportunities) are among the many reasons for a lower than expected IPO and corresponding current stock price. And while its revenues represent only 1% of the world’s $507 billion in total ad spending, the growth opportunities for Facebook are limitless. GANZ Media perfects your company’s online marketing exposure through a variety of channels: website design, email campaigns, social media, and graphic design. Our experienced staff draw upon years of experience providing quality marketing solutions to Fortune 500/Fortune 1000 companies, and now so can you.